Chairman Ben Wilson (Washington, DC) was quoted in the 2019 edition of the Lawyers of Color's Black Student's Guide to Law Schools & Firms, the tenth-anniversary edition of the publication. Lawyers of Color is a nonprofit devoted to promoting diversity in the legal profession and advancing democracy and equality in marginalized communities. Ben is known throughout the legal community for his work in diversity. 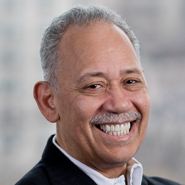 He is a board member on the Leadership Council on Legal Diversity and is the facilitator for the more than 6,000 members of the Diverse Partners Network, and Beveridge & Diamond has an African-American attorney percentage well above the three percent average. “I show black attorneys how to build a practice,” he said, something he also does for female attorneys. Ben also noted our most recent female associate of color hired in our Seattle office, Tracy Williams, who the firm identified through our networking channels. He regularly speaks to BLSA groups and has taught an environmental justice course at Howard Law School for thirteen years. “I probably meet with several individuals every week. I try to provide encouragement. I share lists of people I know. The worst thing that happens is we become friends, and the only thing I ask in return is that, when they are able to do so, they help someone else,” he said.